Lexus plans to introduce an experience one can only describe as solitary confinement on new RX crossover models later this year, according to Japanese magazine Mag-X. The all-new 2018 Volkswagen Tiguan stretched over 10 inches to include standard third-row seating on all of its FWD models, and it’s also an option on VW’s larger new Atlas crossover. One can assume this has apparently inspired Lexus to introduce a third-row option on its RX crossover as well, which it plans to introduce in October according to Mag-X. 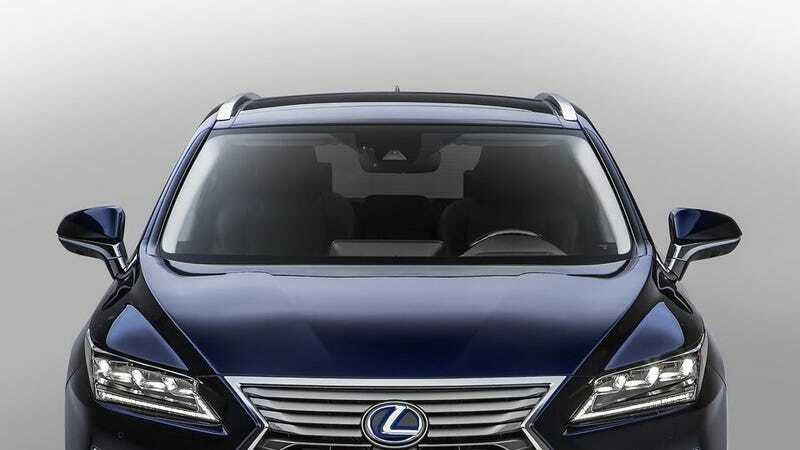 The problem here is that the RX’s latest design doesn’t really seem like it was meant for a third row, considering Lexus went for 100 percent style and nearly zero percent window beyond the rear doors. It’s going to be dark and tight back there, and I feel sorry for anybody who has to endure it. It’s a great way to see where you sit in the power ranking of those you’re in the car with, I guess. Just don’t get lost in the motions of your mind as your sensory information is deprived back there. Want A Three-Row SUV That Isn&apos;t Enormous?